Looking to learn how to paint trim? It’s not so different from painting other surfaces in a home. Your method will vary depending on whether or not the trim is already installed. To apply finishes prior to installation, lay down a drop cloth and place the strips across sawhorses. Use a high-density foam roller or brush to apply the finishes. Rollers speed the job and lay on an even, smooth finish. You will have to do some touch up after the trim has been installed, such as over filled nail holes, but this approach saves a lot of time. Painting trim that is already nailed to the wall takes more time and can be done either before or after you paint the walls. 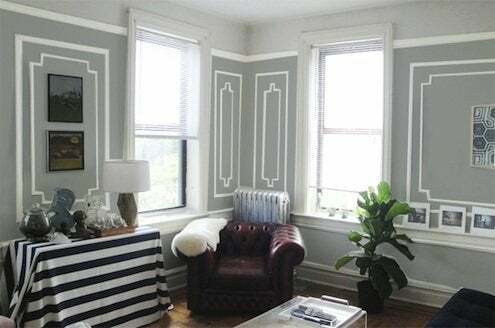 Ultimately it may not make much of a difference, but I prefer to paint moldings before tackling the rest of a room, because then it doesn’t matter if some of the trim paint strays onto the walls and ceiling. It will soon be covered. 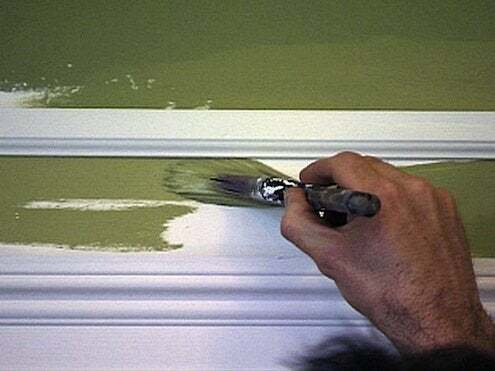 On the other hand, if the walls and ceilings have already been painted, you’ll need to have a steady hand, painter’s tape, and good brushing technique to achieve a satisfying result along the trim’s thin edges. Even if you’re careful, paint drips and spatters are always a risk. Of course the easiest way to paint trim is not to paint it at all. Prefinished wood trim—including baseboard, casings, and crown molding—are now available at many home centers. You have to like white, though, or you’ll need to be patient enough to special order a custom color. Pre-finished polyurethane trim products are available in a selection of colors, and pre-finished MDF (medium density fiberboard) is another option in areas not subject to excessive moisture. Pre-primed wood molding has been available for many years and is less expensive than pre-painted wood or plastic products. It’s a good option if you plan to paint your moldings to match the color you’ve selected for windows, doors, and their casings.